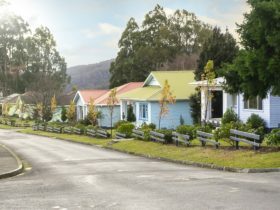 Tarraleah is a small holiday village in the rugged wilderness of Tasmania’s Central Highlands, on the edge of Tasmania’s Wilderness World Heritage Area. 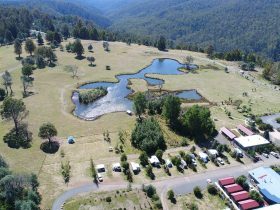 The countryside around Tarraleah is known for its alpine lakes and mountains and many hydro-electric dams, canals and giant steel pipe-ways, while the forests of the area provide spectacular scenery. The Hydro Electric Commission built the township in the 1930s to house Tasmania’s pioneering hydro electricity officers and management. Today, the town of 1920s and 30s wooden homes has been restored as an elegant award-winning wilderness resort. 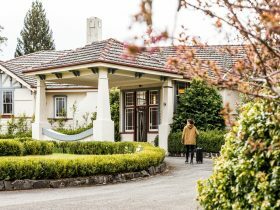 The town’s central lodge, built in the 1930s for the Hydro engineers and company directors, has been restored to the Art Deco elegance of its early days when money and craftsmanship were no object, while the town’s cottages, hand built by Tasmanian craftsmen in the 1930s, have also been restored as self-contained one to three bedroom holiday cottages. The lodge, which is a short drive to Lake St Clair, is ecognised by Luxury Travel Magazine as one of the top 20 fishing lodges in the world. 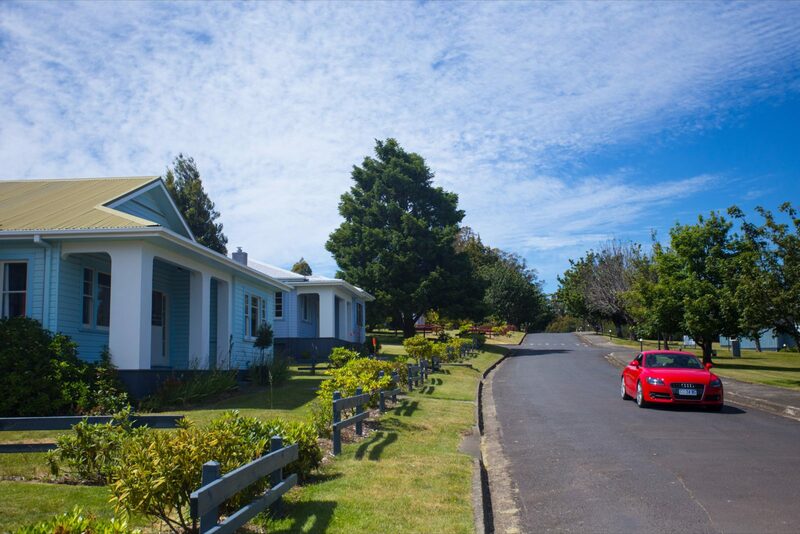 The village includes a highland pub with great food, local wine and beers and in the lodge, there’s a fine dining restaurant with over 300 wines and 200 whiskys..
Fresh water trout fishing, boating, bushwalking, mountain biking, kayaking and golf are all popular activities in and around the township. 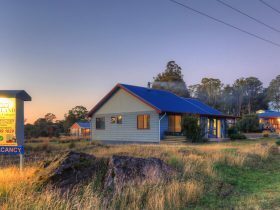 The site is also host to an enormous range of Tasmanian flora and fauna and it’s common to see quolls, wallabies, wombats and echidnas wandering around the town, all on the same evening. 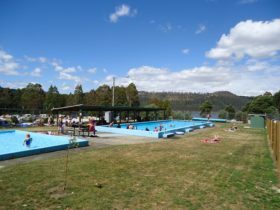 Tarraleah is a small Tasmanian Rural Location within the local government area of Central Highlands, it is located approximately 97kms from the capital Hobart covering an area of 164.461 square kilometres. Tarraleah has a recorded population of 0 residents and is within the Australian Eastern Daylight Time zone Australia/Hobart. If you are planning a visit to Tarraleah we’ve put together some of the things nearby that you can see or do while you are here. These include, places to stay, tours and attractions, some upcoming events and places where you can grab a meal. Go ahead, try one of the buttons above. Every destination has something worth seeing so start exploring… If you know Tarraleah and think we’ve missed something, let us know and we’ll share it here.